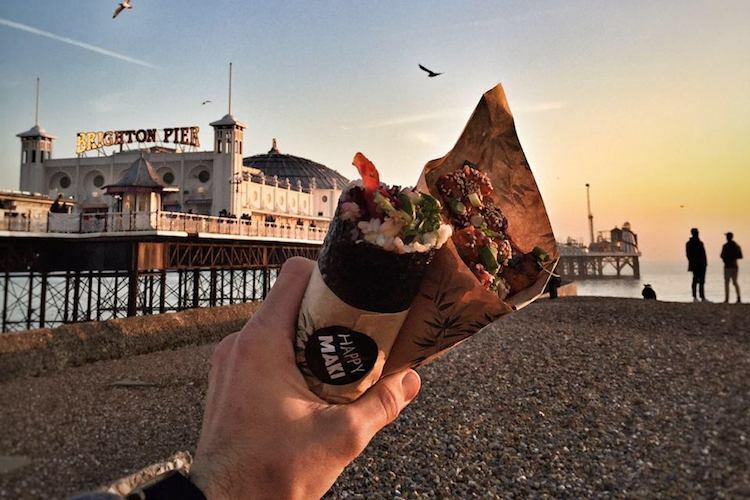 Happy Maki are new to the Brighton food scene, and are bringing something new to it. One the face of it they are bringing a new vegan food concept to the city, serving vegan sushi rolls and wraps that are both delicious and nutritious. Their plant based wraps are inspired by sushi rolls and fuse this style with flavours from across the globe. Look deeper and they are also on a mission to educate and inform people about the impact that commercial fishing has on the delicate ocean ecosystems. 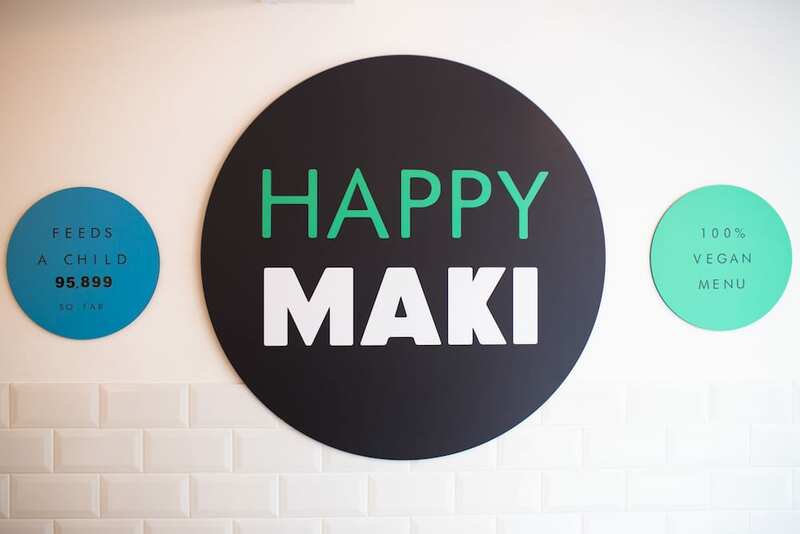 Happy Maki also support charities across the globe fighting against child hunger in the developing world, and fighting against the loss of the world’s forests. 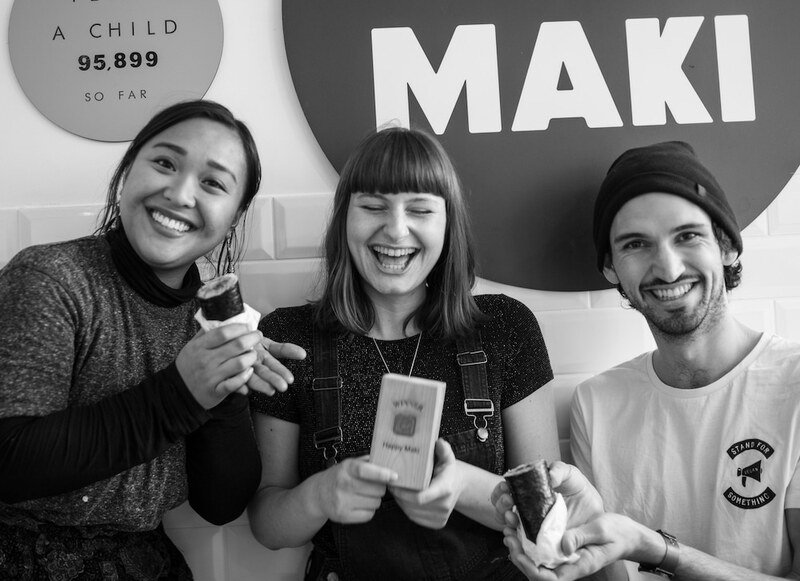 Happy Maki is more than just a place to eat, they are also somewhere to help make the world a better place. 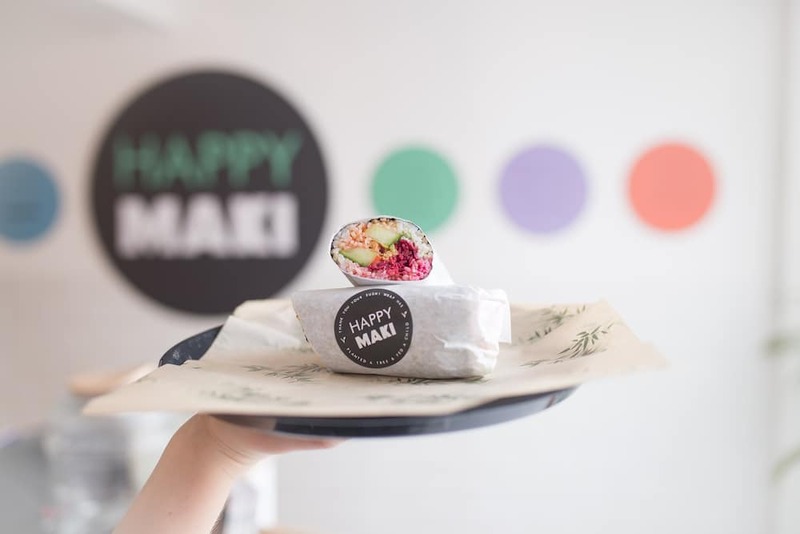 Happy Maki have taken the classic sushi roll and given it a feel good facelift. “Su-Shi” means seasoned rice, and at Happy Maki they have taken this literal meaning and added extra flavours from across the globe, in addition to keeping some of the traditional tastes we are comfortable with. 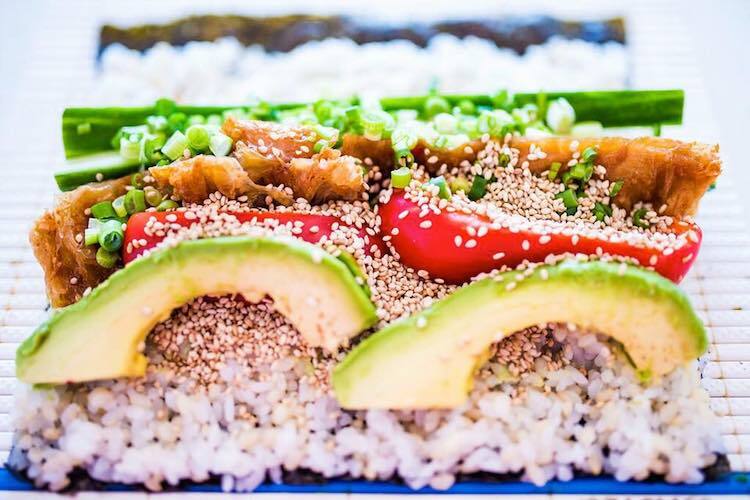 Their giant “sushi burritos” contain fillings varying from sweet potato and roasted coconut through to crispy “duck” or “chicken” and satay sauce. The end result is a healthy and filling meal that does not compromise on flavour and is from sustainable sources. Creator of Happy Maki, Anna, was driven by a desire to change the way we consume fish and view the oceans. Anna is passionate about the outdoors and has seen how the sushi industry harms fish stocks and the negative effects of unsustainable fish farming on the oceans ecology. Their website has lots of information to view, including the film that first inspired Anna to do something about these issues. In addition to this, Happy Maki donate money from every sale to a charity called “Mary’s Meals” who fight child hunger, therefore operating a one feeds two policy. Further money is donated to a charity who plant trees in countries such as Haiti, Madagascar, Ethiopia and Nepal to halt deforestation in these areas. Great place for a quick wholesome bite, very filling, healthy and super tasty. Not a huge variety of offerings but it’s only a small set up, and whenever I go back I always seem to order the same thing anyway (the Hoisin “Duck”). Staff are all really friendly too.